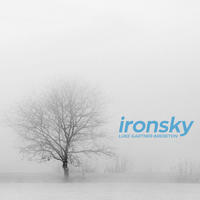 Lovingly crafted with a mix of acoustic, stringed instruments and electronic elements, Ironsky is a celebration of melancholy and thoughtfulness painted in rich colours and dark textures. The album features songs of sorrow and loss, mixed with subtle notes of hope and longing and the odd uplifting moment. The aim of the album is to create space for thought, contemplation and even sorrow; to allow the imagination to drift, unfettered, for a time. Ironsky features a range of world instruments such as Spanish guitars, the Bolivian Ronroco, classical violin, the ukulele, bamboo flute and a range of percussive instruments.